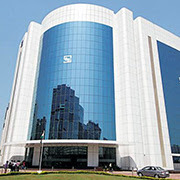 Market regulator SEBI allowed stock exchanges to introduce Cross-currency futures and exchange traded Cross-currency option contracts in multiple currency pairs. The Cross currency futures will be available in various pairs, including Euro (EUR)-US Dollar (USD), Pound Sterling (GBP)-USD and USD-Japanese Yen (JPY). On the exchange traded option contracts front, Euro Rupee (INR), GBP-INR and JPY-INR have been added to the existing USD-INR pair, SEBI said in a circular.